Wilmington City Councilman Kevin F. Kelley Sr. says he won't stop giving, even if the money goes to lawyer fees. It's not supposed to be this way. Bishops shouldn't need a judge's permission to pay church bills. Parishioners shouldn't wonder if placing money in a collection plate is a good investment. And a child should fear no evil from a priest. But those are the problems and questions facing the 230,000 members of the Catholic Diocese of Wilmington in a new way after Bishop W. Francis Malooly announced last Sunday that the diocese had filed for Chapter 11 bankruptcy protection. The announcement, made the night before a series of child sexual abuse trials related to former priest Francis G. DeLuca were to begin, put the brakes on all 131 lawsuits pending against the diocese -- canceling courtroom testimony, disclosure of evidentiary documents and cross-examination. It also opened the diocese's financial books to public scrutiny and to the judgments of U.S. Bankruptcy Court. It raised questions about the future of Catholic parishes, schools, and other ministries in the diocese, including all of Delaware and the Eastern Shore of Maryland. And it again put the work of thousands of faithful ministers and parishioners under a cloud. So be it, Bishop Malooly said Friday. The wrongs must be addressed, no matter how difficult. "We as church, priests, and religious laity -- we've inherited the crimes and sins of the past," he said. "No matter how difficult this struggle is for us, it doesn't compare at all to what the victims have suffered and continue to suffer. I ask my own people to continue to struggle with me, to try to support one another, and to do what is right and do what is appropriate for all involved." 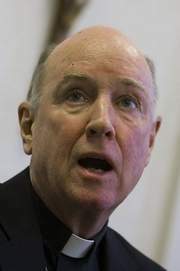 Malooly and his Vicar General, Monsignor J. Thomas Cini, have said the filing will protect the resources of the diocese in order to adequately compensate the 142 plaintiffs who have sued for childhood sexual abuse by a priest and keep the diocese and its ministries and programs alive for future generations. Bishop W. Francis Malooly says the Wilmington diocese can't afford to lose faithful parishioners. But Navy Cmdr. Kenneth Whitwell, the only plaintiff whose case has gone to trial, doesn't believe that. He believes the filing is a blatant effort to avoid more scandal, not to provide for victims' welfare. 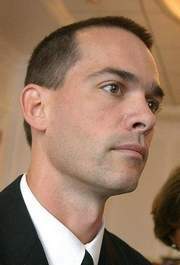 Whitwell, who won a $41 million jury verdict against the Rev. Edward Smith in federal court in 2007, later sued the diocese, Archmere Academy and the Norbertine Fathers in Delaware Superior Court under the provisions of the 2007 Child Victim's Act, which granted a two-year window for cases that would otherwise have been barred by the statute of limitations. His claims were settled last year, before they reached trial in Superior Court. "Bankruptcy court is a place for corporations, not for victims," Whitwell said Friday. "They're going to be treated like a number, and they're not going to get the same justice I got. The most important thing for a victim is to get the admittance of guilt. I got an apology, an admittance of guilt. They said they were wrong, They said he [Smith] should never have been assigned to Archmere Academy." Those acknowledgements and apologies were more important than any money, Whitwell said. "You cannot sterilize these victims in bankruptcy court," he said. "It will simply sterilize the despicable acts that occurred to these victims. They will not get justice, healing or the process due to them." Some bankruptcy settlements, though -- including the Davenport, Iowa, diocese's $37 million agreement in 2008 -- include a variety of nonmonetary requirements. Among those in Davenport, for example, are letters of apology and acknowledgement of guilt sent by the bishop upon request, disclosure of the names of all credibly accused priests including posting the names on the diocese's Web site, an agreement to stop using the word "alleged" in reference to the plaintiffs and their claims, providing opportunity for survivors to speak and write about their experience in their parishes and services of atonement conducted by the bishop at each of the parishes. The Diocese of Wilmington already has taken some of those steps, albeit reluctantly. The late Bishop Michael Saltarelli declined many requests by The News Journal to release the names of accused priests after the abuse scandal emerged nationally in 2002. He did not do so until 2006 -- after DeLuca was arrested in Syracuse, N.Y., for molesting his nephew over a period of years. Navy Cmdr. Kenneth Whitwell says "bankruptcy court is a place for corporations, not for victims." At the same time, he declined to release the names of similarly accused priests of religious orders, which serve within the diocese with the permission of the bishop. Saltarelli also urged pastors to talk about the matter and dedicated Advent services that year to all those who had been abused by priests. But he would not allow lay groups such as the Voice of The Faithful, a victim advocacy group, to meet in the parishes or on diocesan property. Three religious orders with ministries in Delaware are among defendants in cases pending in Superior Court. None has declared bankruptcy. Only one -- the Capuchin friars -- has released the names of an accused priest. The Capuchins acknowledged settlements to two men for abuses committed by the Rev. Paul Daleo after one of the men told his story to The News Journal. The Oblates of St. Francis de Sales, who operate the prestigious, all-male Salesianum School, have declined to release the names of accused priests in their religious order, though several names have emerged during the two-year period in which Delaware's Child Victim's Law allowed such cases to be filed. The Rev. James Greenfield, provincial of the Oblates, acknowledged the Oblates have responded to the accusations differently than the diocese has. "I want to clearly say that the Oblates are not bankrupt, and bankruptcy is not in our present conversation," he said Friday. "We are not presently evaluating this option, and my hope is that we never will. ... Our focus is consistent. I'm planning to address the demanding situation before us without reverting to any action such as bankruptcy." Religious orders operate autonomously in the dioceses in which they serve, but must have the permission of the bishop to do so. While the Diocese of Wilmington shares many resources with its parishes, all are distinct corporations under the law. The diocese incorporated in 1972, and its 57 parishes incorporated as they were founded, some dating to the 19th century. The bishop is identified as the diocese's president. He also is a member of each parish board, and the pastor of the parish is its corporation's president. Lawyers must sort out which properties and financial holdings are accessible to the diocese's creditors as the bankruptcy process proceeds. And while the assets are listed as book values, with plots of ground and assorted buildings, they also represent generations of tradition and history and spiritual community. The allegations and subsequent litigation that emerged from those parishes shocked many in the church. Many heard the names of friends, trusted priests. Some heard a family member's horror story for the first time. Some settlements have included nonmonetary requirements -- such as apologies and name disclosures. "I would say if you're a Catholic and a baby boomer here, you would have known these priests," said Wilmington City Councilman Kevin F. Kelley Sr. "And a lot of people have been impacted who you don't know. Some I grew up with. "I'm in support of the diocese filing for bankruptcy. And I fully understand the impact of what has happened to people with the priests. ... This is in the interest of the whole diocese." The needs and injuries of the victims are the first mentioned by church authorities as they discuss these matters publicly. But the needs of the Catholic mission in the diocese -- the parish ministries, charitable programs, schools and other endeavors of the church -- also are significant. Many worry about the impact the bankruptcy proceedings and financial settlements could have on those areas, and church officials now are trying to address their questions. A significant concern, for example, is whether the faithful will close their wallets or continue to donate to their parishes and other ministries, said Joe Szczerba Sr., a 1960 graduate of Salesianum School whose sons also attended the school. "None of us know how this is all going to come out," Szczerba said. "None of us know what assets they're going to be able to use. Suppose we find out that the collection every week will go to paying this off? What would we do? Most people would shut off and not give to the collection anymore." 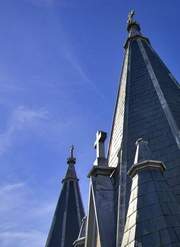 Jim Keegan, a longtime DuPont Co. employee who served briefly as head of Ursuline Academy and serves on the parish council at St. Ann's Church in Wilmington, believes parishioners need frequent, clear messages about the situation facing the diocese and all of the parishes and religious orders within it. "It's imperative that we get a clear message -- not a legal message, but a clear message -- out to the schools and parishes so the people that really support the church understand," said Keegan, whose five children all attended Catholic schools. "They have to know where the $10 or $20 they're giving every week goes. That's a big concern. Will it just be paying off settlements?" "That's probably a good question," he said. "Every day we are trying to figure out what is happening next, and I imagine many will be cautious. On the other side of the coin, part of our task in addition to responding to the 142 claimants is to continue to do our charitable and educational and spiritual ministry. In most of those areas we need funds to do that." The source of possible settlement money will be among the deliberations in the bankruptcy process. Dioceses elsewhere have relied on insurance policies, sale of real estate and other measures. Parishes have raised funds to cover costs in some areas. Diocese Superintendent of Schools Catherine Weaver tried to reassure parents in a letter sent to families this week. "The school your child attends should not be impacted by the filing," Weaver wrote. Settlements, she said, have been paid out of investment reserves and insurance policies. Greenfield said Salesianum School is doing fine. "We are poised to move into the future with the same strength and commitment of the past 100-plus years that we've been here," he said. "We have educational, pastoral and spiritual objectives that we're pursuing with gusto." Brother Ronald Giannone, a Capuchin who founded the Ministry of Caring, which serves thousands of homeless, elderly and poor residents in Wilmington, said the ministry has challenges related to the tough economic climate. "I believe, however, God is never outdone in generosity," he said. "People continue to give so others may eat even at personal sacrifice. The situation with the Diocese filing for bankruptcy has no bearing whatsoever with the Ministry of Caring." Kelley said Catholics must remain loyal to the faith. "You've got to put money in the collection plate," he said. "You've got to still believe in your Catholic faith and what the Catholic religion is trying to do for you. Bishop Malooly has addressed the problems. I'm going to keep giving my money, whether that goes to lawyer fees or not. I don't agree with what happened to people, but I'm not going to stop being Catholic because of it. That's not how Jesus wants you to be." Appearing in courtrooms as defendants or bankrupt debtors is not the goal of anyone entering seminary. In court filings and documents already produced, though, victims of abuse around the world have shown that church officials often did not acknowledge and address the problem, but instead quietly transferred offending priests from parish to parish, sometimes from diocese to diocese, even from nation to nation to quiet allegations, rumors, threats of prosecution or lawsuits. That's why the civil court system now must deal with many churches' disputes. It is uncomfortable territory for many church leaders and even some attorneys. "In my 25 years of litigation, I have never seen claims less well-suited to be solved in court," said Mark Reardon, who represents religious orders, schools and parishes in many of the pending cases. "No one wins in these cases." Malooly's absence at the first bankruptcy hearing before Judge Christopher Sontchi Wednesday was "disappointing" to John Manly, whose California-based firm represents dozens of plaintiffs here and has been part of hundreds of other cases nationally. "These people are his flock," Manly said. "He should have been here. But that's just my opinion." Malooly said he would have been there if the judge had asked him to be. He did not want to be a distraction or delay the process, he said, and attorneys have said it is typically the financial officer of a corporation who speaks at such early proceedings, not the chief executive officer. Malooly said he welcomes the opportunity to open whatever books the court requests. "I know there is a lot of cynicism about what we as the church have done locally and nationally," he said. "... We want to be as forthright as possible. We have no need to hide anything." 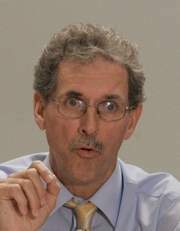 Mike Reck, an attorney in Manly's firm, said such claims are "flat-out wrong." If openness was the diocese's posture it would have handed over requested records long ago. The Rev. Tom Doyle, a canon lawyer and Dominican priest who has investigated abuse cases for more than 25 years, agreed with Reck. "Honest, compassionate pastoral care won't happen for these victims," he said. "To have that, they would have to honestly tell them why they're filing for bankruptcy, why they have made it so difficult to go through the court process, why they are refusing to settle these cases of DeLuca. ... All of these 'I'm sorries' and handwringings are just public relations exercises." But Greenfield said he would rather be dedicating a building at Salesianum in the name of James Sheehan, an All-State football player at the school who later taught and coached football there. Because Sheehan is suing for abuse by the late Rev. Francis Norris, Greenfield said lawyers have told him he is not allowed to speak directly to him. "To communicate through lawyers is very difficult," Greenfield said. "It's the most difficult issue I have. I really do look forward to the day when I can have direct access to these men and women so that I can learn about their pain and earn back their trust."